Every day, Colorado’s citizens and organizations make extraordinary efforts to strengthen our communities, provide opportunity to fellow Coloradans, and move our state forward. 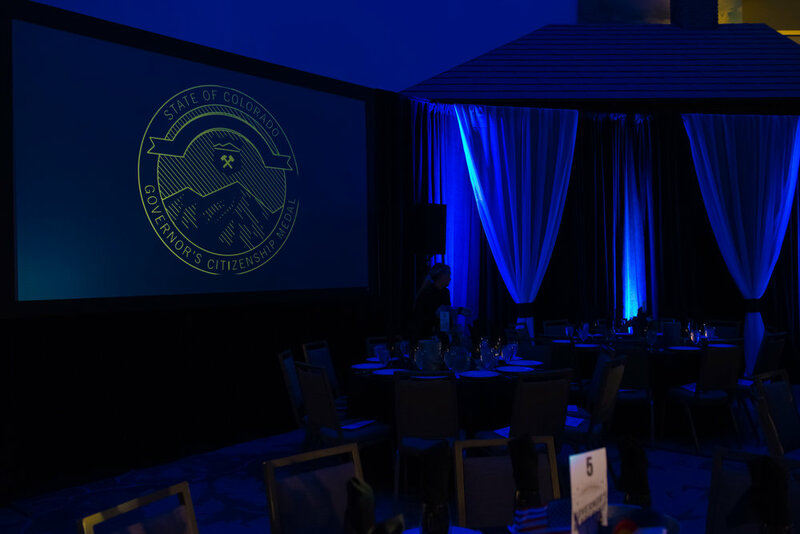 To honor their work and to inspire future generations to serve the interests of the state, Governor John Hickenlooper, in partnership with all living Colorado Governors, created the Colorado Governor’s Citizenship Medal (CGCM). The CGCM recognizes individuals and organizations from diverse sectors that make enduring impacts on the strength and vitality of the State of Colorado. Awardees will be honored in an exhibit in the History Colorado Center. This award is given to a business leader who has made transformational contributions to the community throughout his or her career. This award recognizes a young community leader who has demonstrated excellence and made a positive impact on the community. This award is given to an entrepreneur or business leader who has led with exceptional ingenuity and growth while inspiring and creating new possibilities for others. This award is given to a government or community leader who serves the public with innovation, operational excellence and progressive vision. This award recognizes a Colorado based company that has made a significant positive impact in the community.